In stock. Order in the next 14 hours and it will go out today! 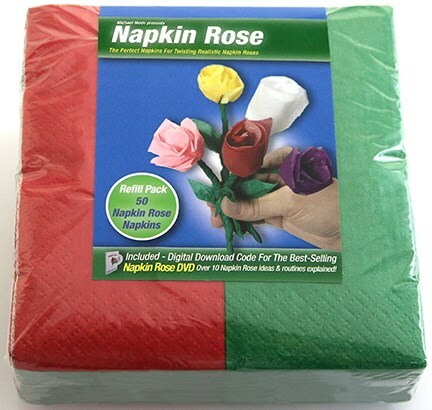 The Napkin Rose Kit includes 50 red and green custom napkins and a digital download of the DVD Napkin Roses by Michael Mode. 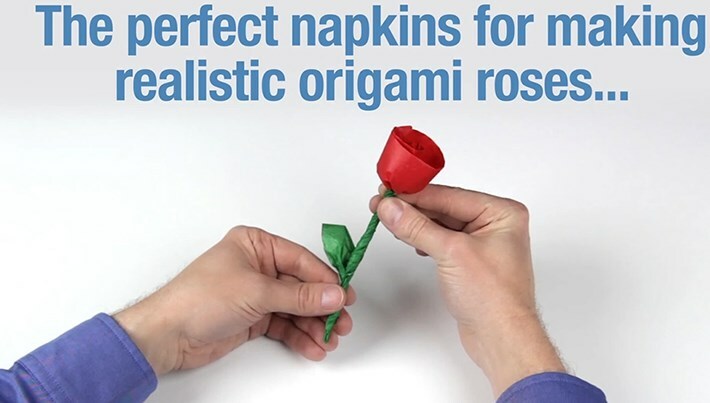 On this digital download Michael Mode will teach you how to easily twist a napkin into a realistic origami rose. 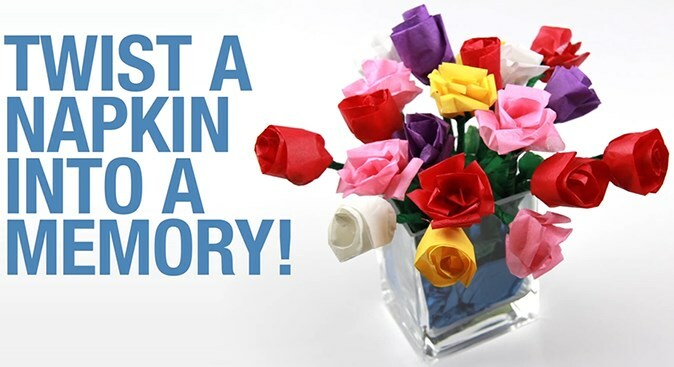 In addition to the Basic Napkin Rose twist, you will also learn several cool tips and tricks developed by Michael over the years. A Rose By Any Other Name - Learn how to print your name or logo right on the rose! Tea Rose - A really great miniature version of the Napkin Rose! 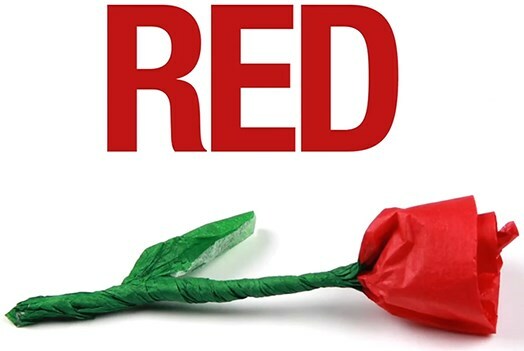 Extras - Learn the best way to carry the roses, give the roses away, teach the Napkin Rose and much more! Rose and a Kiss - Bonus magic trick with a really sweet ending! Torn and Rose-Tored - Another bonus magic trick, a visual way to pull the flower off the stem and magically restore it right before you give it away!